Thinking back to weaning Bella everything had to be homemade, every ingredient had to be organic and if the local supermarket didn’t hold the organic variety then either myself or my dad would be at the market on a Saturday morning for my ingredients list. The lines are slightly blurred at the point a tin of tomato soup was brought out and a biscuit (or 3) was given but so far it seems not to be doing her too much damage. 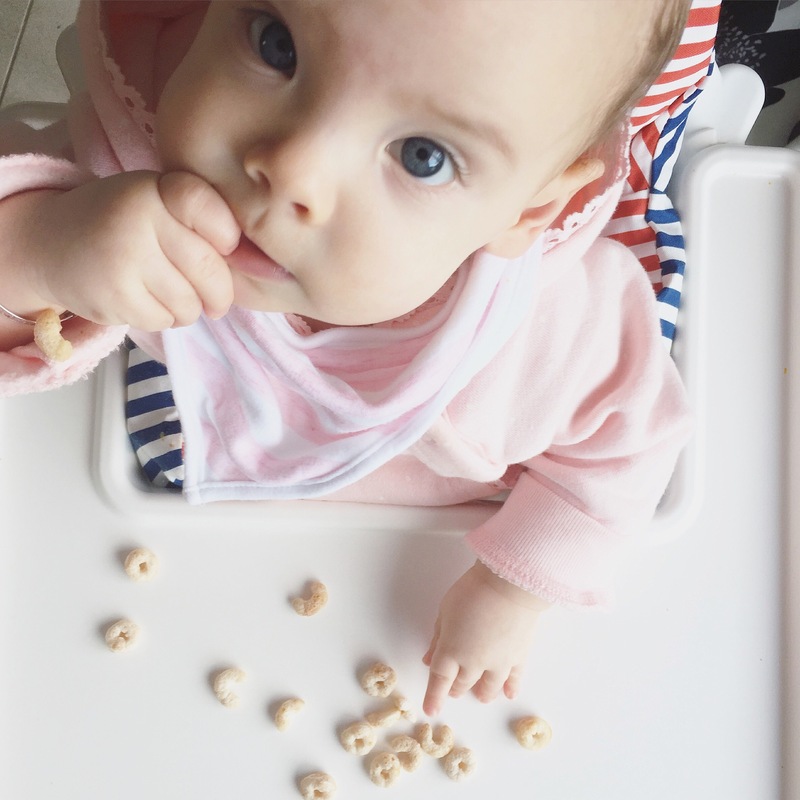 With Annie I prepared little lunches and dinners aswell as a mix of baby led weaning however with a much more relaxed approach (ok with a really relaxed approach) compared to Bella. I bought lots of baby pouches for handiness for the days we were out and about, only to find she would not eat a single one of them. Great! I have now tried them all with no luck and as a mother short on time, wanting to have something I can grab for handiness when out and about as well as the cost of them on maternity leave (these pouches are not cheap when they have just ended up in the bin) this was not ideal. When heavenly tasty got in contact to ask if they could send me some of their products to review I was a little hesitant at first. Considering Annie refused all pouches I felt we couldn’t give a fair review but agreed we would try them anyway. I now understand their confidence. The package came with 2 boxes of squishes, 2packets of snacks and 2 boxes of wafer whisps and when reading the information on the products I got excited myself. 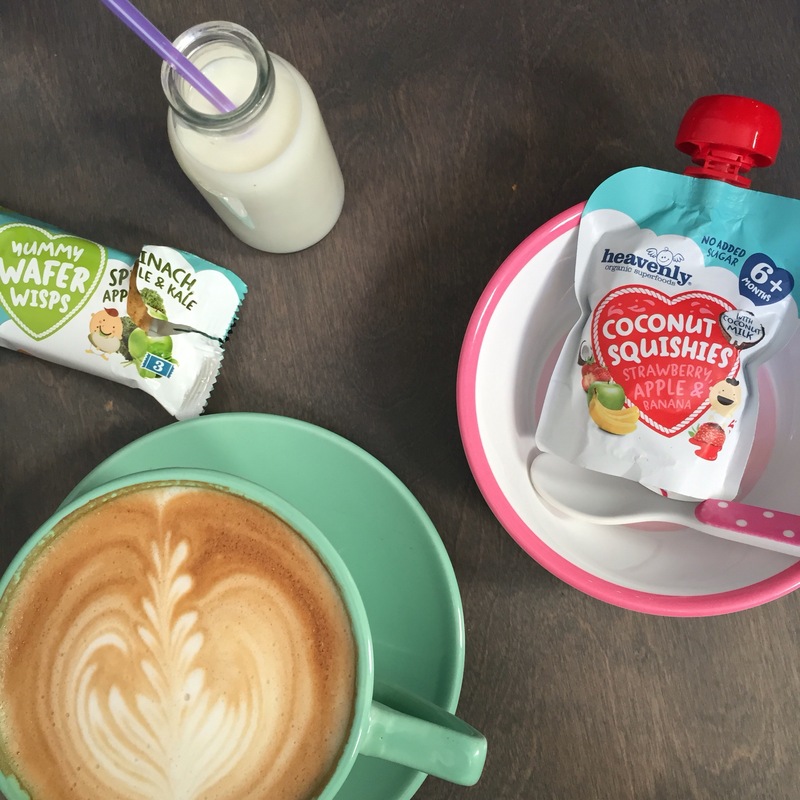 The squishies are dairy free, contain no artificial colours or flavourings and no added sugar or salts. The squishie fruit pouches are made with organic fruit and coconut milk and the wafers are made from organic vegetables and fruits that are blended together with grains such as Amaranth that is gluten free. You can read more about the key ingredients here. 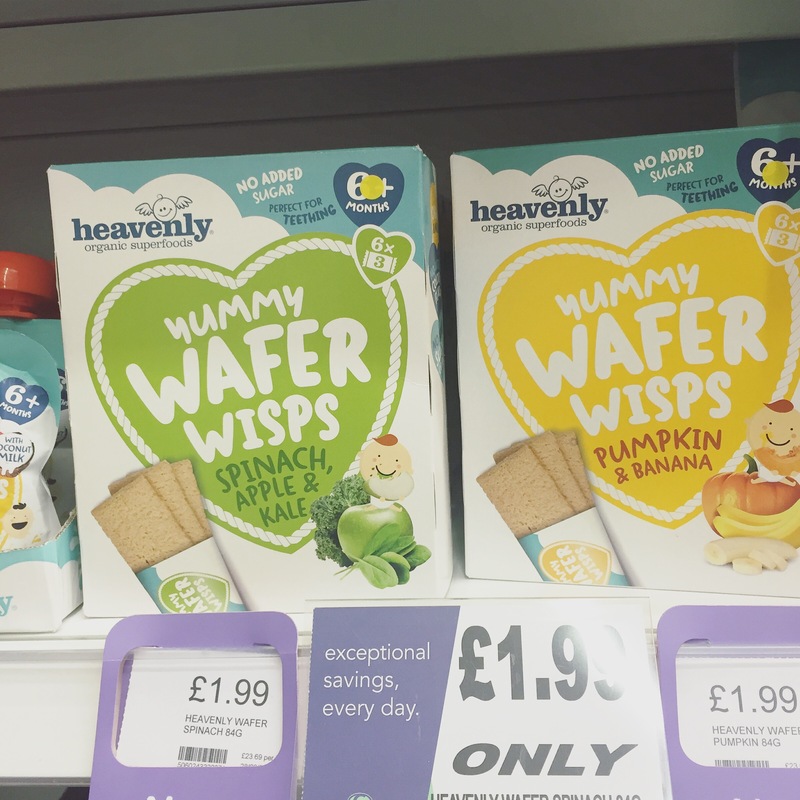 I have a few friends that have babies with allergies and finding tasty, healthy snacks that are handy when out and about can be tricky so I couldn’t wait to share. I tried Annie with the squishes first and she devoured the entire pouch, I wasn’t surprised as I tried it myself and it tasted creamier than any of the others with no bitter aftertaste. The pouches were used up in no time and the snacks and wafers were not just a massive hit with Annie but with Bella too, especially the apple and kale wafers. 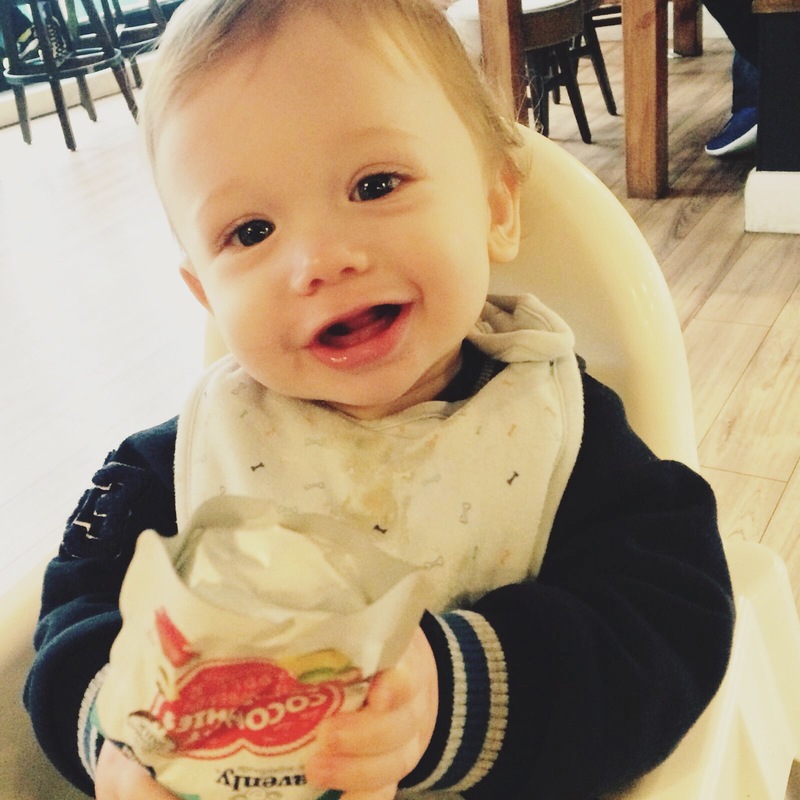 Adorable Archie trying out the Strawberry Squishies and he also loves the wafers. I know the Happy Halo bites are recommended from the age of 10months but I give Annie (from 7months) them whilst constantly supervising her as I thought they were great for fine motor skills, anything this small they are touching normally goes straight to the mouth anyway so at least with these I had the confidence of how fast they melted. Bella enjoying the snacks too has really been the icing on the cake, I am lucky as I can’t say she is a fussy eater in the slightest and would eat us out of house and home when it comes to fruit, veg and yogurts but she loves a treat especially a biscuit or a bun and the wafers have been accepted as ‘a little pack of bikkies’- win! I have since went to Gordons Chemist myself and stocked up on some more as they are so much handier when out and about, the wafers melt in their mouth, are relatively mess free and no sticky hands… Yip the things I think of this time around. That being said I get to enjoy these benefits knowing that I am still giving my baby great food. Again I feel pretty excited to be supporting a local NI mum that struggled to find something suitable for her child with alergies, found a gap in the market and has came up with this fantastic product made by parents, for the most important people in our lives. These are the products I always trust most. Heavenly tasty is currently available from Gordons Chemists, Ocado, Supervalu, Amazon and hopefully in our leading supermarkets in the near future. 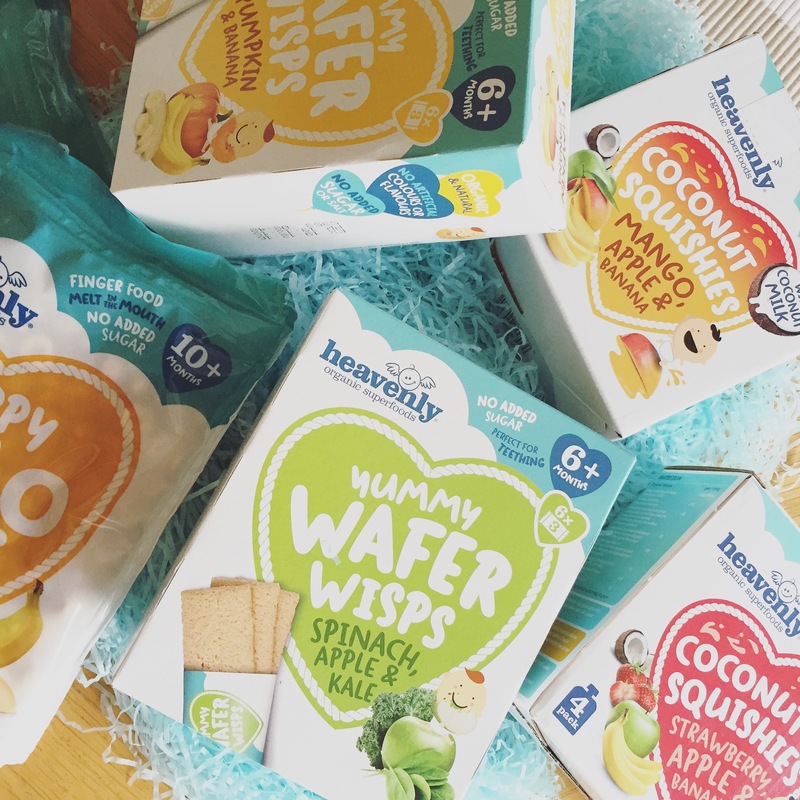 We were kindly sent the products from Heavenly tasty for review however all words and opinions are entirely my own.